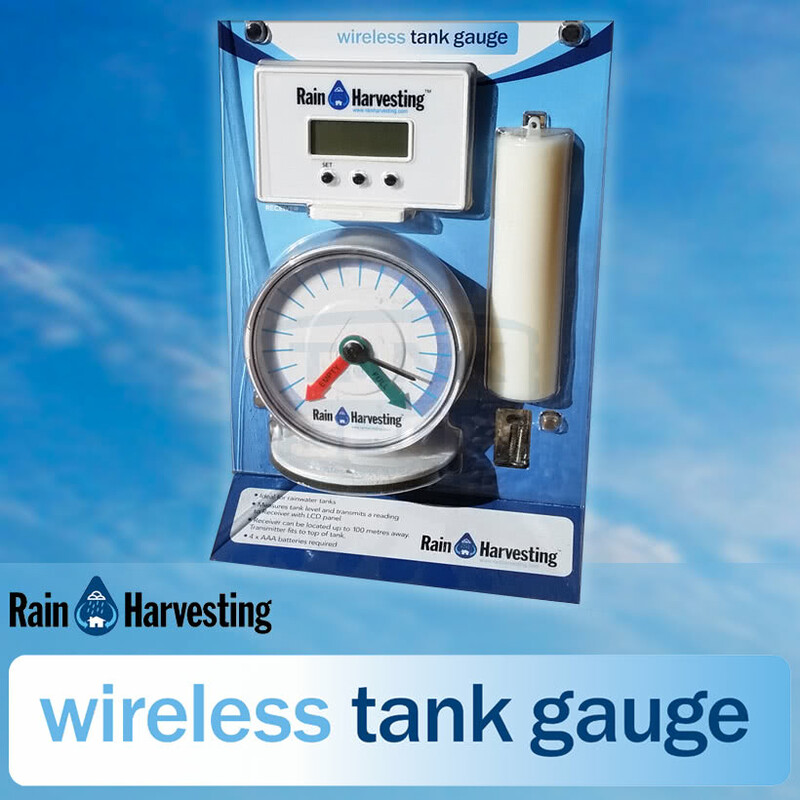 Rain Harvesting's Wireless Tank Gauge (TAWG01) is a rainwater tank level indicator that ensures you are able to tell how much water is in your tank at a glance from within your home or office. Rain Harvesting’s Wireless Tank Gauge (TAWG01) is a rainwater tank level indicator that ensures you are able to tell how much water is in your tank at a glance from within your home or office. The Wireless Tank Gauge consists of a Transmitter and Receiver and it displays the amount of water remaining using indicating arrows on a metered face on the Transmitter, which then transmits this water level data wirelessly to a Receiver located elsewhere, most often within the users home to display on the Receiver’s LCD screen. This makes it easier than ever for the user to quickly monitor the water level in their water tank without having to go outside to the location of the tank and Transmitter.